It's the middle of summer and we are having fun with all of our guests living it up for the summer! We do have some news to share with you. Effective today, August 1st, we have instituted a slight price increase across boarding, day care, salon services and activities. Our Premium Accommodations are now $55-$75 per day, while classic boarding rates are $34-39 depending on weight. Cat accommodations each were increased $2 to $22-$24 per day. Day Care prices now are $20-$22, up $2 for our two categories. Our salon prices are based on a breed list grouped by similar breeds (hair coat, size, etc.) Each level was increased up to $3. Our current bath prices range from $30 to $60. Each of our activities also were increased $1-$2 each. We try our best to be sensitive to our clients. Please note that any adjustment to our rates is only done after careful consideration of our costs. Thank you for your understanding. 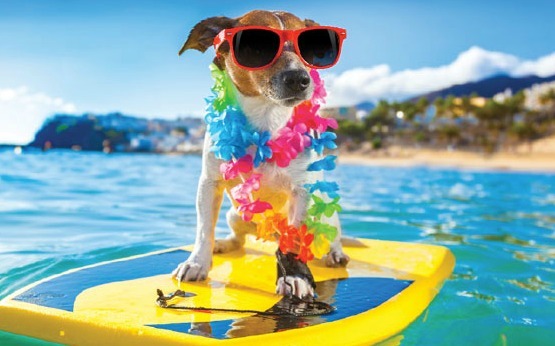 We can't wait to see your furry family member for their vacation. Perfect for summertime, we are now offering our 6-packs of SimpleGuard for about 20% less than our previous price. Thanks to a change in pricing from our supplier, you can now get your pet protected from fleas and more for a little less. As of today, we officially require all dogs to be fully vaccinated for canine influenza virus (CIV). You can check out our information here. Most importantly, your dog is not fully protected until he or she has received two injections of the vaccine. We hope everyone is having a fantastic summer. Remember to book those vacations early as August is the official summer vacation month for the South Bay. Check back here often for event information, gebneral pet care information, and moree. 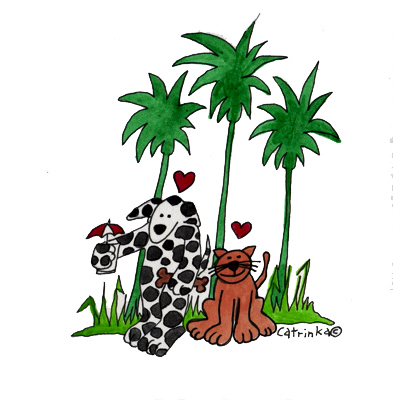 Combined with our newsletter, it is the best way to learn about your pet's favorite resort.